A good deal of the shoreline at Kiholo Bay is public land, but there is one short stretch that is privately-owned. Not surprisingly, these rare waterfront parcels are owned by the very wealthy. One such is a large, sprawling yellow estate just back from the beach, owned by the inventor of the pacemaker. A bit farther down the beach is this property, known to most people here as the Bali House. The property is owned by John Paul DeJoria, co-founder of the Paul Mitchell line of hair products and The Patrón Spirits Company. 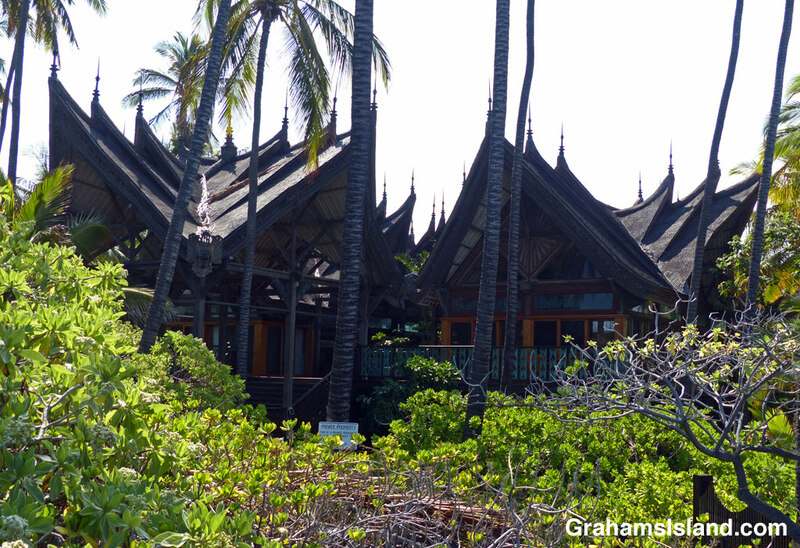 DeJoria had traveled in Bali and loved the architecture, so he had this house hand-built in Bali. The house was then disassembled, shipped to the Big Island, and reassembled on this property. The whole process took around six years and when they were done, it started to shrink. 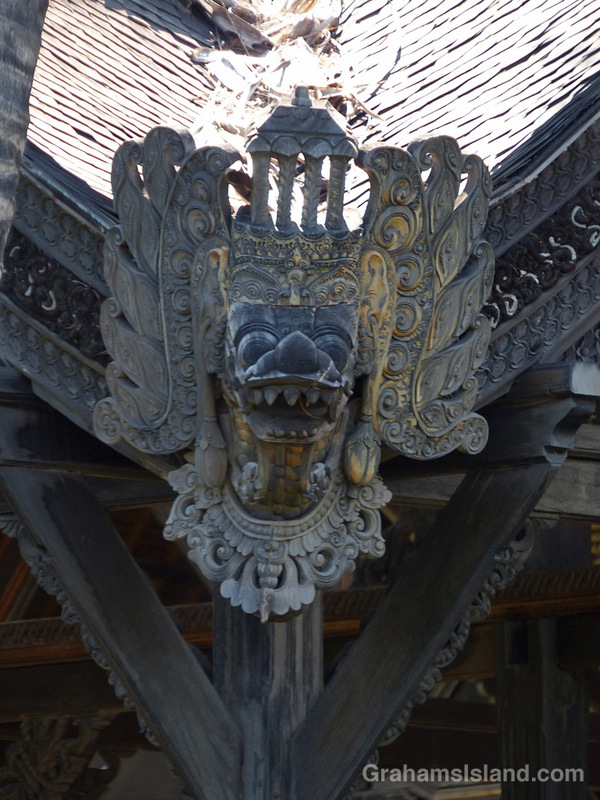 Turns out the Balinese carpenters had used green logs from the Borneo forest and in less-humid Hawaii, the wood shrank and split. Apart from it’s striking appearance, what I find notable about the house is how it’s set back from the beach and surrounded by greenery. The view of the ocean is almost what realtors call peek-a-boo. The house is also self-sustaining, relying on solar power and rainwater collection. This is most admirable, but I suspect I’d still prefer the caretaker’s cottage. Aslan Jeffery, I was 16 when I helped construct that beautiful house. That must have been a great project to be involved with. I heard that, when it was put together on site, the wood shrank because of the difference in humidity between Bali and Hawaii. Was that the case?